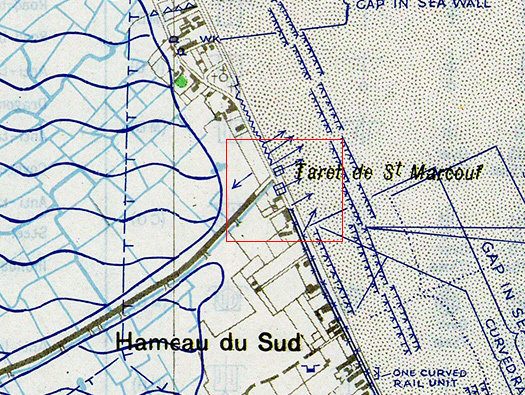 Wn14a Hameau du Sud - Les Gougins, K.V.U.Gruppe Marcouf, K.V.Gruppe Cotentin Ost. 1 x APX R R35 Turret with a 3.7cm KwK144(f). 1 x 8cm Gr.W. Mortar. 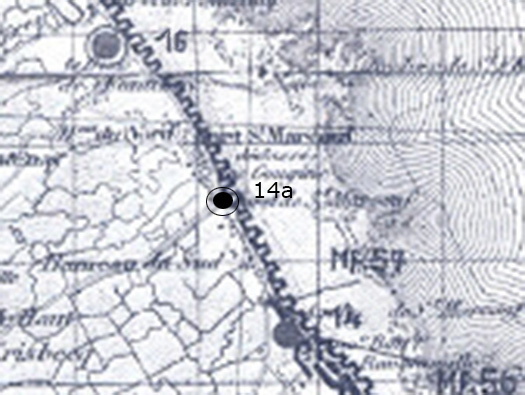 Wn14a sits between Wn14 & 16 with mine field Mf.57 running along the front. 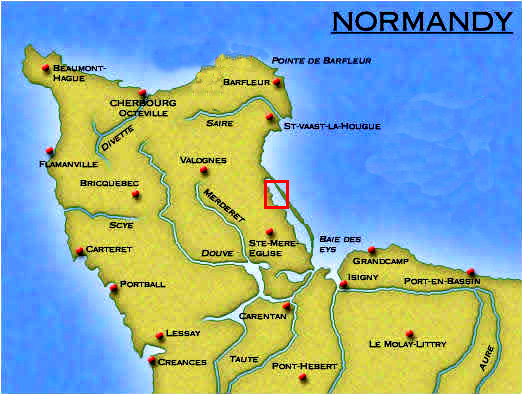 It looks as though Wn14a was slotted in to cover the D69 going straight to Wn135 - StP Marcouf MKB. Wellblech sitting in the corner of a garden. 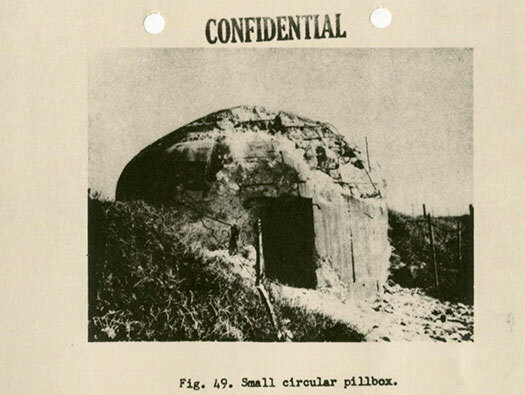 A Wellblech or corrugated iron bunker. A cheap and easy bunker to build with concrete foundations and a an iron top and then covered in more concrete. They were used as crew quarters, ammunition, storage, etc. The Allied Bigot plan showing the pillbox, tank turret and machine gun positions. This I believe is the Bf.67neu Tobruk with an APX R R35 Turret with a 3.7cm KwK144(f). 8cm Gr.W. 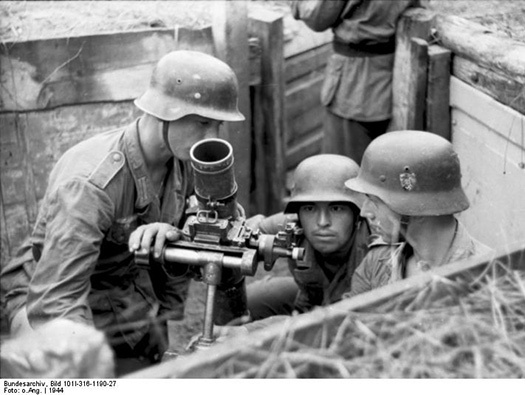 Mortar and crew. Pilz pillbox a concrete round wall with a domed roof with three gun ports and a rear door. 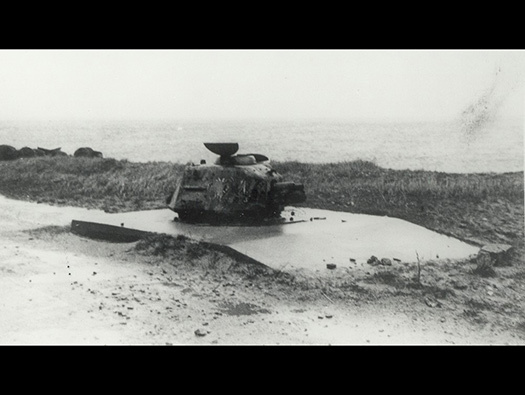 The report states it was hit by 3” guns. 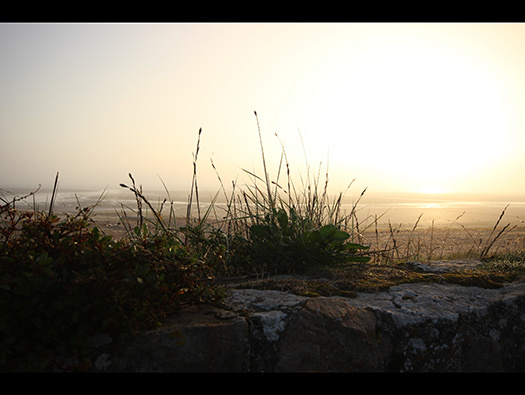 It looks as its all come in from inland so possibly tank rounds. 75mm or 3” Sherman solid shot. Looking inside through the door with the three embrasures. 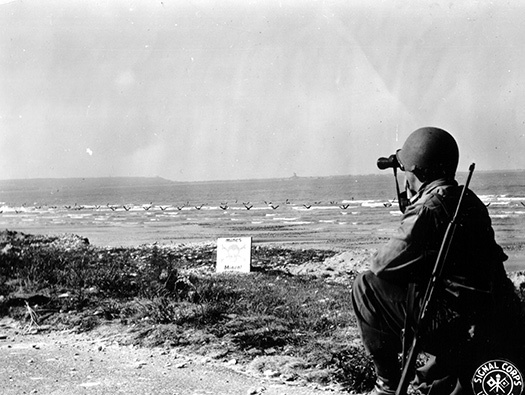 A signals Corps rather staged photo of a US soldier looking north.